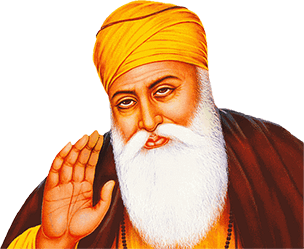 Guru Nanak Jayanti is the birth anniversary celebration of Guru Nanak Dev Ji. Guru Nanak Dev Ji is the first Sikh guru. He enlightened the entire world with his deep and philosophical religious teachings; this is the reason this day is also celebrated as 'Prakash Utsav' or 'Prakash Parv'. Guru Nanak birth anniversary celebrations glorify the doctrines of Sikhism. Guru Nanak was the first of the ten Sikh gurus and he laid the foundation of Sikhism. The holy book of Sikhs, 'Guru Granth Sahib' comprises of all the teachings and preaching of Guru Nanak Dev Ji. This is why this holy day is celebrated with such reverence in the Sikh community. When was Guru Nanak Born? Guru Nanak was born on 5th April, 1469 on Vaisakhi. But, the birthday of Guru Nanak is celebrated in the month of Kartik as it was the time when he attained enlightenment and shared his teachings with the world. When is Guru Nanak Jayanti in 2018? It falls in the month of Kartik of the Hindu Calendar. Guru Nanak Jayanti is celebrated by Sikhs all around the world with loads of zeal and happiness. This year Guru Nanak's birthday will fall on 23rd November. How is Guru Nanak Jayanti Celebrated? Guru Nanak Jayanti is celebrated with extensive grandeur by the Sikh community. The celebrations begin two day prior to the main festival with 'Akhand Path'. The recitals of the verses of Guru Granth Sahib are done continuously in Gurudwaras for 48 hours. The next day, all the Sikhs visit Gurudwara for 'Prabhat Pheris' (morning rounds) which are performed with chanting of hymns from Guru Granth Sahib. Afterwards, a grand procession known as 'Nagar Kirtan' is organized. This ceremonious procession by the followers is carried out with singing and dancing and preaching Guru Nanak's message. It is led by Panj Pyaras or 5 beloved ones followed by the devotees holding Nishan Sahib, Sikh flags. On the main day of the festival, people recite devotional prayers and hymns, Asa-Di-Vaar, and set out for Gurudwara in early morning hours i.e. Amritvela, for Prabhat Pheris. It is followed by 'Katha' narration in which the teachings of Guru Nanak are read to the devotees. The morning rituals end with 'Kirtan' where songs and hymns are sung in admiration of Guru Nanak Dev. The followers then offer their 'Seva' in the Langar by distributing the sumptuous meal prepared to everyone who visits the Gurudwara irrespective of the caste or religion. 'Rehrasi', a special prayer is conducted at the time of sunset. Singing of prayers and hymns as well as Gurbani continue till 1.20 AM, as it is believed that Guru Nanak was born at this time with celebrations ending finally at around 2:00 AM. Guru Nanak Jayanti is celebrated with much fanfare in the states of Delhi, Punjab and Haryana. This festival is also joyously celebrated in Canada and the UK where a large population of Sikh resides.